Sarah & Kevin to tackle the Two Moors Way! Our friend Sarah Robinson will be tackling the Two Moors Way with her colleague Kevin Brown on August 1. 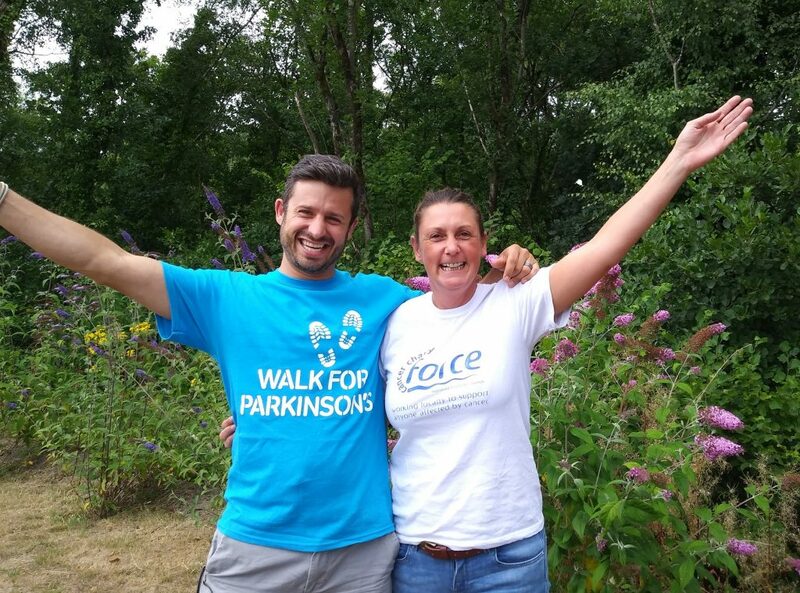 Sarah and Kevin will be walking 30 miles per day, totalling 117 miles over four days, for two very worthy causes – Force Cancer Charity and Parkinson’s UK. Sarah, who lives in Bampton, agreed to take up the challenge alongside Kevin as she wanted to say thank you for the support, which Force gave to her parents when her mum was diagnosed with breast cancer. Force offers support, buys equipment and offers independent cancer research to patience and families suffering with cancer. Sarah says she found the drop-in centres they’ve opened allowed her and her family a place where they could sit and relax, or talk to informed people in a calm, understanding environment. A number of years ago Kevin’s Grandfather was diagnosed with Parkinson’s disease, so he has seen the effects of the disease first-hand. After lying in a hospital bed a few times recently himself and feeling sorry for himself, he decided it was time for a challenge. He is therefore completing the walk while trying to raise awareness and gain sponsorship for the amazing charity. Parkinson’s UK. Parkinson’s UK influence and fund ground-breaking research internationally, to advance understanding of Parkinson’s and improve treatments. While offering support and opportunities to live life to the full for everyone with Parkinson’s, their families and carers. Sarah and Kevin will be walking between Wembury on the south coast, and Lynmouth on the Bristol Channel is called the Two Moors Way. It will take them across Dartmoor, south Devon (the UK’s third largest county) then through Exmoor. Covering a total 117 miles and climbing to the routes highest point on Dartmoor at 1700 feet. They will complete a total of nearly 5,000 metres of ascent and average approximately 30 miles per day, to top that, they’ll also be carrying their equipment and wild camping along the route. We would to wish Sarah and Kevin the best of luck and would like to call for people to sponsor them. Please click here to visit their Virgin Money Giving page. To keep up-to-date with their journey, please follow them on Facebook. Vote for us in the Muddies!